Most people will benefit from having the basic estate planning document known as a simple will. It might seem like it’s too overwhelming of a process or that you don’t need this, but everyone can benefit from putting their thoughts into a will. Setting up a meeting with a New Jersey estate planning attorney can help you accomplish this goal. Everyone can benefit from having at least this basic document in their estate planning file folder. As your needs become more complex, you can continue to work with your New Jersey estate planning attorney to incorporate additional strategies and documents as necessary. 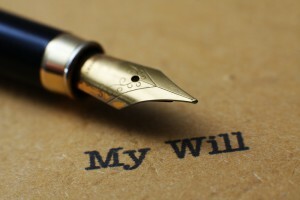 A simple will is a document that helps you take care of the most essential of estate planning goals, including naming a guardian for your minor children, putting someone in charge of the minor children’s financial affairs, selecting the person who will serve as executor of your estate, and distributing property after your death. If you have a relatively small estate and you’re under the age of 50, then a simple will likely will handle all of the aspects of estate planning you need at this particular point in time. With a larger estate or more assets with more complicated plans, then a simple will might not be the right choice for you. Consulting with a New Jersey estate planning attorney can give you a broader overview about what to expect in the estate planning process and when a simple will does and doesn’t work for your individual needs.